When Ross Munnelly comes to look back on his career, his only requirement of himself will be that he went as hard as he could for as long as he could. That’s as far as his thought process goes. There’s no other lofty goal. Nothing on the horizon that has his attention. It’s simply about staying going as long as he has something to offer Laois. 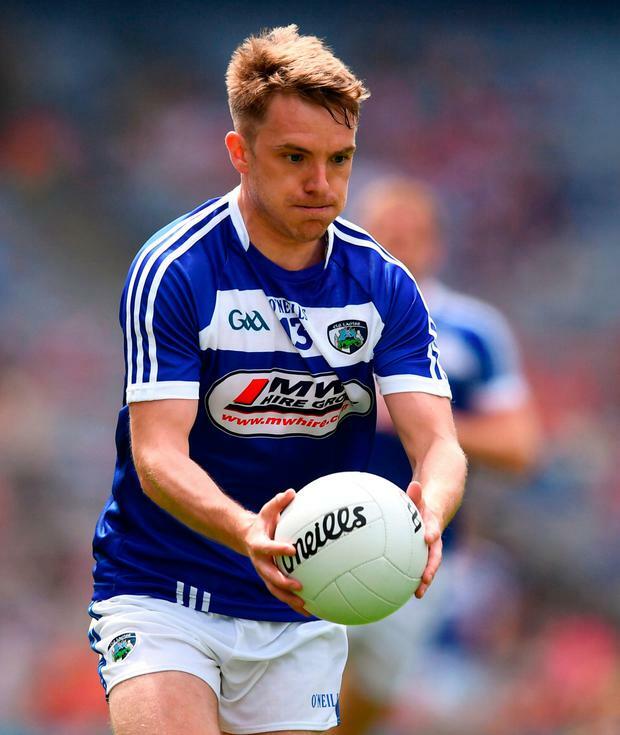 He’s committed for the 2019 season with the county, where he’ll be the longest-serving outfield player on the go along with Mayo’s Andy Moran and Vinny Corey of Monaghan. Over the close season, there was no taking time out to consider his future, or a later return to action to give the body an extended break. Once he was wanted by manager John Sugrue, he wanted back in. “Believe it or not, every time a season finished, in the following pre-season my biggest fear was I wouldn’t be on the team the following year,” Munnelly says. “I have only ever focused on what I could do. And my fear was I wouldn’t get my place in the team again. My advice to players is to try and stay in that moment of trying to improve and trying to make sure you’re in the team the next time it’s picked, the next time it’s picked and the next time it’s picked. He’s already carved out a spot in the history books. His appearance against Monaghan in their qualifier defeat this year was his 75th in championship action, level with the likes of Moran and Conor Gormley. What makes it all the more remarkable is that, with the exception of Andy Moran, everyone else in the top ten appearance list in football has won at least three All-Ireland medals and therefore enjoyed several long summers. Munnelly, meanwhile, has never been past an All-Ireland quarter-final. His other remarkable feat is that all of his appearances have come consecutively. Since his debut under Mick O’Dwyer, the last time Laois played championship football without him featuring was back when the euro had just come into circulation. And if he gets even a little bit of luck this summer, he could get close to the 80 mark. Laois are on the opposite side to the draw to Dublin in Leinster so another final appearance looks attainable. He’d be in heady company there. Only Marc, Tomás and Darragh ó Sé, Colm Cooper, Seán Cavanagh and Stephen Cluxton would be ahead of him. Across his career, the game has seen significant change but Munnelly insists the insists the basics of the game still haven’t changed. That’s a trait that was sown into him by Mick O’Dwyer. To mark the anniversary of their Leinster title win in Munnelly’s debut season in 2003, he travelled to Waterville to meet the Kerry legend earlier this year (2018). “It was 15 years to the day we played in the Leinster final. I drove down to Waterville and had lunch with him and Maurice Fitzgerald, another one of my heroes. I remember writing about him when I was in school. So to sit with him and Micko having a cup of coffee and a sandwich was unbelievable. Football and the GAA has been good to him. He played with Arles-Kilcruise as they won their only Laois SFC title in history. He’s been on three different International Rules teams and last month he was in Bangkok at the Fexco Asian Games. 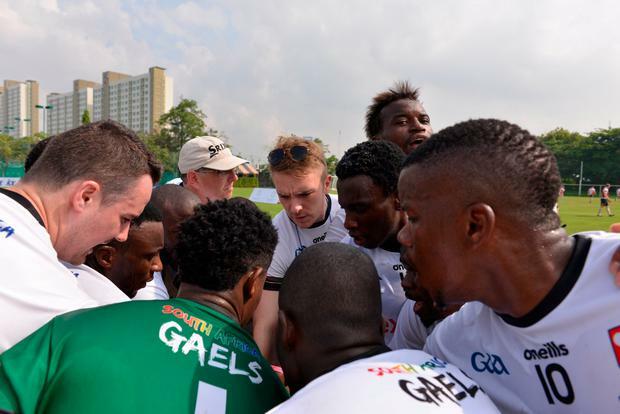 In the Thai capital he was auctioned off for charity and paired off with the South Africa Gaels GAA club, a team made up almost entirely of players from townships around Johannesburg. They swept to a junior title win. And as much as he has given the game, he insists he’s gotten plenty back. Life is hectic just now. He’s busy recovering from a shoulder injury, working as a director of alumni relations in DCU while also studying for his MBA there. And as the new year dawns, Laois will have his full focus again.